I don’t know about your Christmas tree, but our Christmas tree is a virtual walk through our life’s loves and adventures. We’ve picked up ornaments throughout our travels and have also picked up ornaments from Hallmark that show some of our favorite things and movies. In fact, we still have a Hallmark ornament commemorating the birth of our daughter. There are certainly a LOT of memories hanging on our tree! 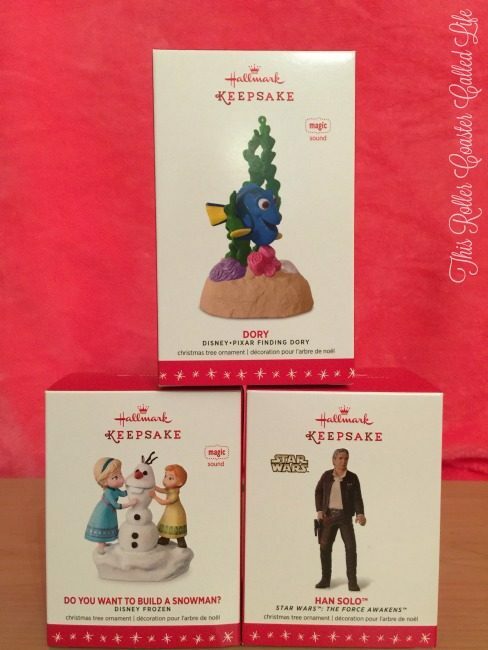 Hallmark sent me a few ornaments recently, and these are certainly keepers! Those of you that know me well or have read my blog for a while know that Disney and Star Wars are high on our list of likes throughout the entire family! Disney’s Frozen has been a favorite of both of my kids since they first saw it! Since then, we have seen Disney’s Frozen in Disney on Ice and have heard and sung “Let It Go” more than a million times, I’m sure. The kids were happy to hang this ornament on the tree this year. 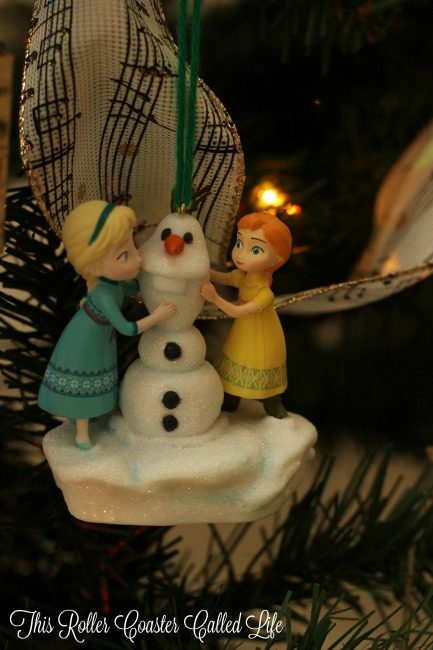 Make sure to head over to the “Do You Want to Build a Snowman?” ornament page to hear this ornament sing! I don’t know about you, but as soon as Finding Dory was announced, we waited on pins and needles for its release! Finding Nemo was a favorite, and we were sure that Finding Dory would be just as good. We were not disappointed! Marvel Boy likes to listen to the things that Dory has to say on this ornament. 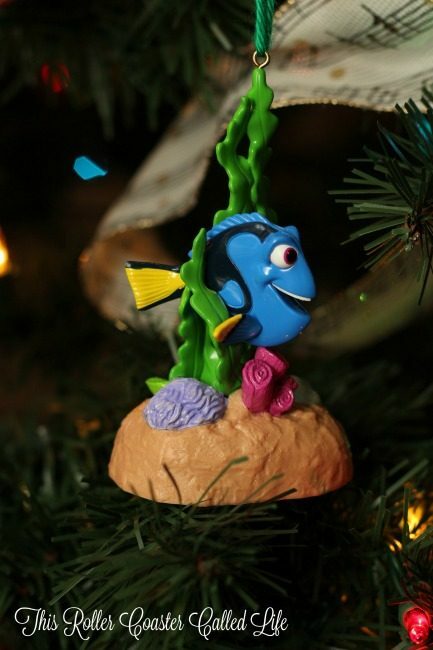 Make sure to check out Dory’s sayings on the “Dory” ornament page! 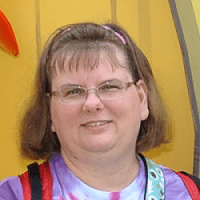 I can’t even begin to describe the passion both kids have with Star Wars… Marvel Boy’s favorite attraction at the Disney parks is Star Tours The Adventure Continues, and both kids read just about every post about theories from Star Wars The Force Awakens. The kids were glad to add another Star Wars ornament to the tree this year! 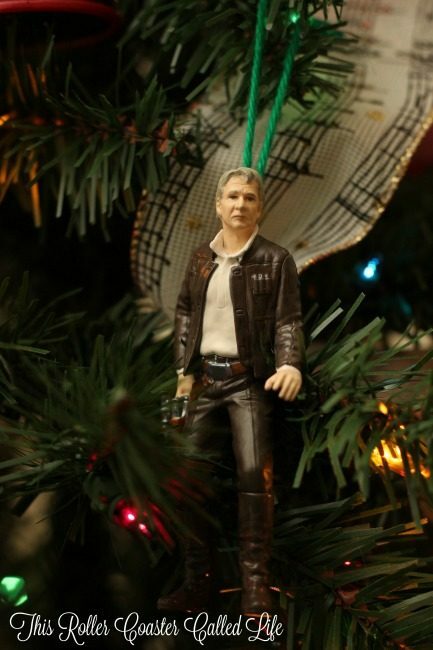 Make sure to check out the “Han Solo” ornament page! 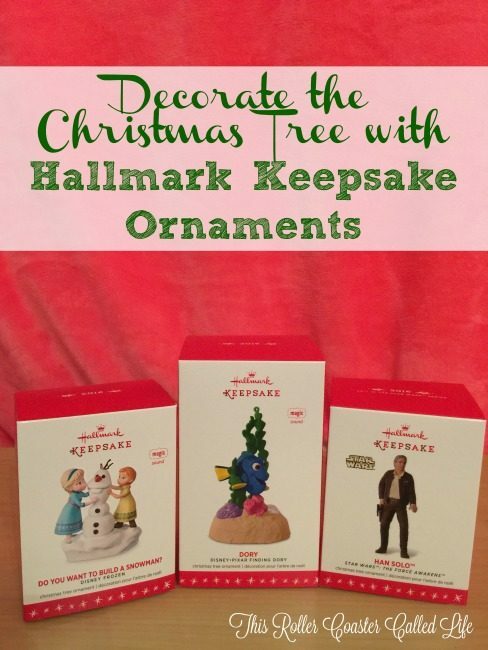 Hallmark wants to give these exact same ornaments to one of my readers! In order to get these ornaments out to the winner as quickly as possible, this will be a one week giveaway, and the winner will need to respond within 24 hours or a new winner will have to be chosen. Ready to enter? Read the rules below and enter via the Rafflecopter widget. Rules: Giveaway starts at 8:01 am Eastern on November 28, 2016 and ends at 11:59 pm on December 5, 2016. Open to U.S. residents 18 years old and older. Shipping to U.S. only. No purchase is necessary to win. Void where prohibited. Odds of winning depend on the number of entries collected. The winner will be chosen by the Rafflecopter widget and will have 48 hours to respond after being contacted by email. Please make sure to use a valid email address. Facebook, Twitter, Pinterest, and Google+ do not endorse this, nor sponsor this giveaway. Nor are Facebook, Twitter, Pinterest, or Google+ affiliated with this giveaway in any way. This Roller Coaster Called Life is not responsible for prize fulfillment.